As your Financial Advisor, I will listen, clarify and help prioritize your goals and aspirations before developing a financial strategy designed to help you achieve your vision for the future. 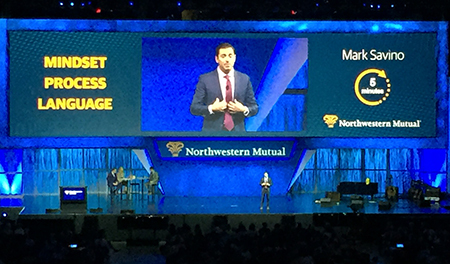 Mark was invited to speak from the main stage at Northwestern Mutual's annual meeting. He shared ideas to fellow advisors, their staff, and home office executives about how to build a successful a practice.